On Monday 2nd April, everyone at GIS was pleased to meet the latest intake of first-year pupils. 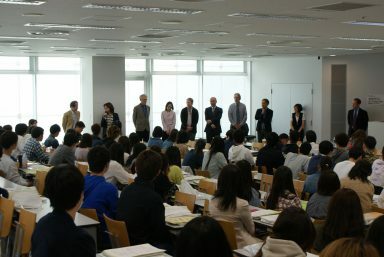 The students were welcomed into the faculty at the orientation meeting, where they were introduced to staff, professors and the dean of GIS, Yutai Watanabe. Also, a current student, Minako Mochida made a welcome speech. 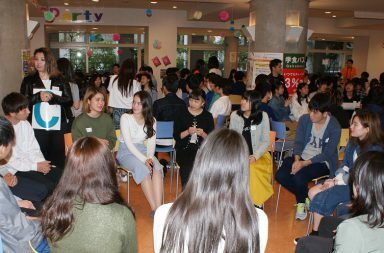 After the meeting, the new students were given a guided tour of the campus before an informal party, both of which were organised by senior GIS students. The cohort played games and got to know each other in a lively and relaxed setting.